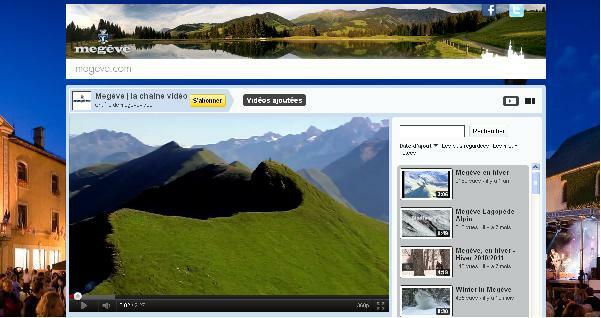 Our recent look at the Top 10 French Ski Resorts on Facebook showed Megève a long way in the lead with over 33,000 fans. 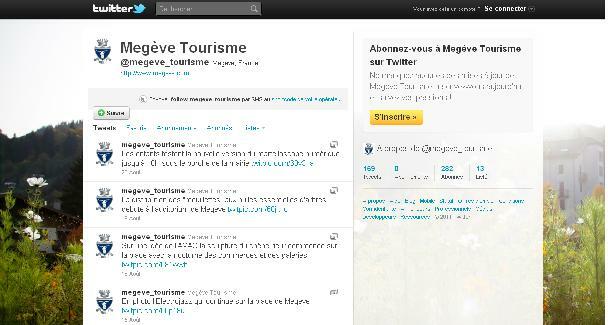 We recently caught up with Jean Marc Seigneur, vice-president at Megève Tourisme to find out more about their approach to social media marketing. 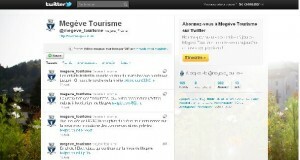 Is social media a key marketing tool for Megève? I studied Online Reputation for my PhD at Trinity College Dublin and was keen to develop social networking here in Megève. In 2007, I set up my own social network for resort, called Mageva.com, with the aim of achieving more exchange and communication between local residents. 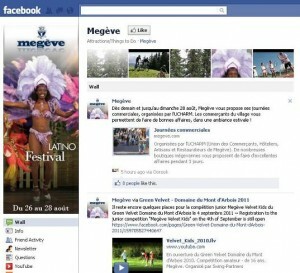 In the last two years, in Megève, we have been focussing on Facebook. Since our launch competition in November 2010, we have made a strong effort to make sure that Megève is a real social network with real people. For example our recent horse jumping competition, an event normally associated with the upper classes was open to all. It featured local products, local farmers, local horses. The focus was on inclusivity. The fact that Megève has a long tradition as a town before it was a ski resort is important. Other resorts also have luxury, but Megève has luxury and authenticity. The village dates back to the 12th century and there has been reported a permanent population of 4000-5000 as far back as 1561. You run a lot of competitions on Facebook, where entrants can also join your mail list. I also love the reveal tab on your website, which offers another way to join the mail list. Is email still important to you? Email is important to us. The reveal is relatively new, but it has been successful in increasing subscriptions. We are very careful not to spam subscribers though. We ask them what they are interested in, for example, golf or gastronomy, and then limit our communications with them to those subjects. We find people will just unsubscribe if you don’t control what messages are sent to them. I notice you use several methods to post to Facebook, including Twitter and Oorook. What led to the choice of Oorook? It’s still an early stage, and it is quite expensive, but we have been using Oorook to schedule messages and also to moderate our Facebook page. It’s important to us that it allows moderation in French. Scheduling is important as we want to use our social networks as communication tools in real time. So many of our events are at the weekend when it can be difficult to update. However, more members of the Tourist Office team are being trained how to use our social networks and that will help real time updating. I noticed that you branded both your YouTube and Twitter profiles. So many companies neglect these simple tweaks. Yes, it can be difficult with so many channels, but we have made an effort to keep them all consistent with our branding and up to date. You use QR codes your website a lot. How has response been? It’s still early days, but response has been good. We use QR codes on Facebook, our website and on posters promoting our events. The code typically directs them to the specific event page on our website. Before QR codes we used a French system of Flash codes. It was quite expensive, but very effective. For example, we put one of the codes in the telecabines. The code allowed users to download a classic video of the famous French skier, Emile Allais – founder of the ESF and native of Megève. Megève has been a leader in new technology for some time. A unique feature we offer as a resort is our ‘innovation offices’. These allow companies to base themselves in Megève, where we can facilitate access to our database and an great demographic to test with. A good example of this is eyeski.tv – a new mobile app. 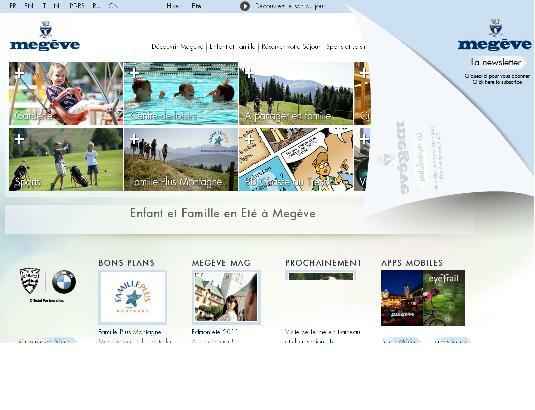 What do you see as the future for social networking for Megeve? Our key goal remains to have a good quality fanbase. It may be that it doesn’t grow any further. What’s important to us is to have a high quality of user, rather than high quantity. As we move to next season, I hope to bring our Twitter and YouTube offering to as high a level as Facebook and our website. We have improved our website significantly since last season. It is very easy to share information and our key goal is to leverage that sharing of information across social networks. Thank you for your time, Jean Marc, and we look forward to following your new developments in social media as we move into this winter.